The first-term curriculum is geared towards introducing students to the fundamentals of business journalism. To this end, they learn the basics of reporting and writing, as well as how to use data effectively in their stories. While assignments that require them to step outside the classrooms will give students a taste of reporting, editing lessons and feedback from our professional trainers will help to fine-tune their writing skills. 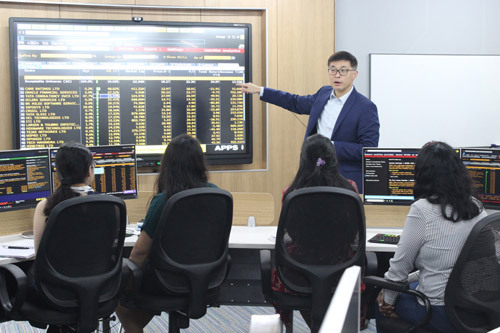 In this term, students get acquainted with the highly acclaimed Bloomberg Terminal through which they access and analyse real-time financial data from around the world. 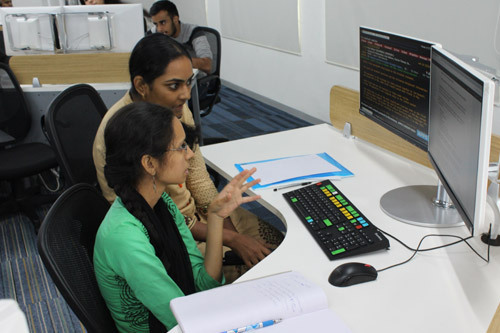 Trainers from Bloomberg teach students the basics of the terminal and how to use it to find news and to mine the data. 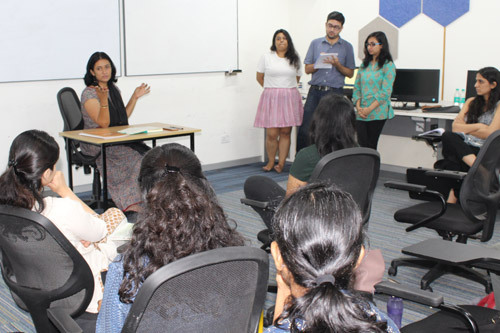 They also instruct them on The Bloomberg Way of news reporting and sensitise them to the high ethical standards expected of Bloomberg journalists. With the lines between various journalism streams blurring, it’s important for journalists to have the ability to tell a story across platforms and mediums. The integrated journalism lessons and workshops do just that. 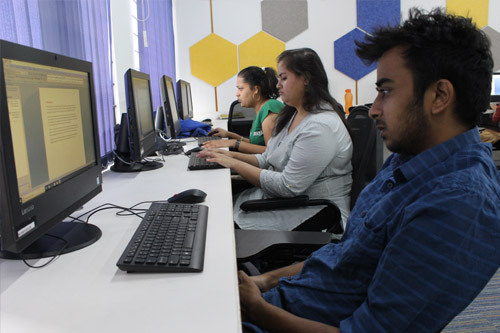 Through some state-of-the-art tools and applications, students learn the fundamentals of online and broadcast news, and how modern storytelling techniques can enhance the reader experience. During the term, all students will have to attend a series of lectures offered by senior journalists, renowned scholars and entrepreneurs on various key issues impacting the business sector in the country. This course will expose students to different points of view, broaden their perspective, and equip them with the knowledge to grasp the workings of business and economy better. Students also take a module on the principles of economics, which introduces them to the fundamentals of economic analysis. The course will deal with both micro- and macro-economic concepts, ranging from consumer behaviour theories and growth cycles in market economies. There are four required courses in the first term: Reporting, Writing and Editing; Key Issues in Business Journalism; Principles of Economics; and Integrated Journalism. The second term will see students handling more complex reporting assignments, while enhancing their skills in writing crisp, clear copies. They also learn how to build sources, develop interviewing skills and spot a good story idea. Using the right data to buttress points made in a story is critical for the business journalist. The lectures on quantitative methods will help students understand the nuances of statistics and data visualisation as also the pitfalls of using the wrong data sets. Students learn about various statistical tools and how best to incorporate them into their stories and graphics. Another module, on understanding companies, will offer students a closer look at firms, their classification and how they are set up. Students will also be exposed to such concepts as the nature of a limited liability company and its historical evolution into the dominant form of business organisation. Besides explaining governance issues, the course will deal with the major components of the Indian corporate sector, ownership structures and the sources of funds. During the term, students are introduced to the major beats in the world of financial journalism. 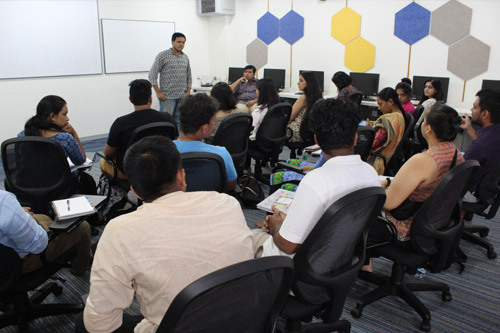 Top journalists from across the country train them how to cover various beats like Startups, Banking, Aviation, Technology and Retail. Trainers from Bloomberg will instruct students on how to cover company earnings, and mergers and acquisitions besides mining company statements for information. Students learn interviewing techniques and how to beat the competition by spotting news first—an important factor in business journalism. Mock press conferences and interviews give students a taste of corporate reporting, while allowing them to learn from mistakes. Students continue to attend classes in “integrated journalism” and “reporting, writing and editing” during this term. 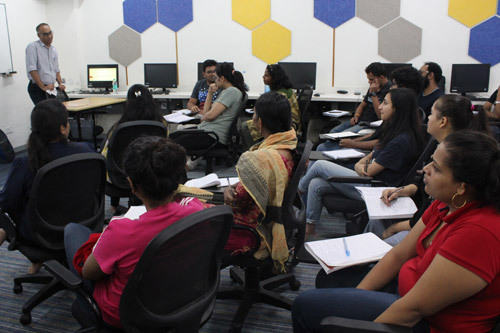 Journalists from leading business dailies train students on writing long-form stories. In the third term, students will continue to attend classes on integrated journalism, and reporting, writing and editing. 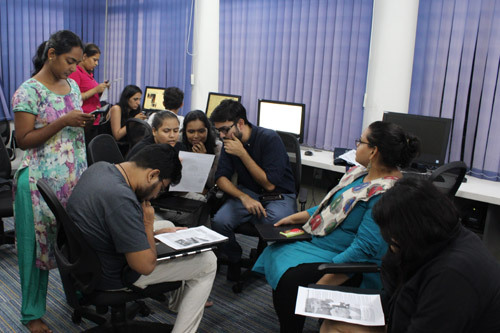 Students continue with their Bloomberg classes as well as training from journalists from leading financial dailies. During the term, students are given an introduction to the recent history of international trade, balance of payments adjustment and capital flows through the “Global Trade and Finance” module. Among other things, the module discusses the evolution of trade and finance flows; the important international institutions and major processes in the international economy. Students also learn how to cover the effects of innovation on business. The “Economic of Innovation” course helps students gain a greater appreciation of how innovation happens in the real world today. 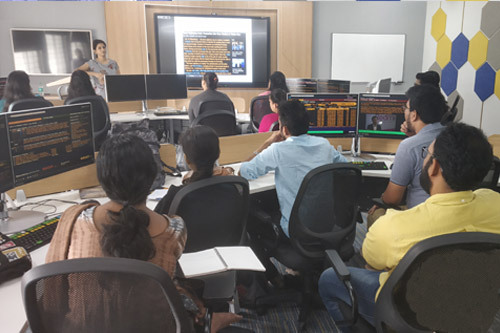 The financial markets module will touch upon the evolution of Indian finance and the nature of stocks, bonds and currencies, and give insights into the regulatory structures prevalent in the country. The students will have to submit a major piece of work—the Year-End Project—during this term.